For some, it seems like an unthinkable and barbaric concept, but for others, it comes as a relief. Regardless of your own personal beliefs, physician-assisted suicide or death with dignity laws are never fun topics to discuss. Nonetheless there’s been a recent movement, albeit slow, towards passing laws that aid terminally ill patients in dying. 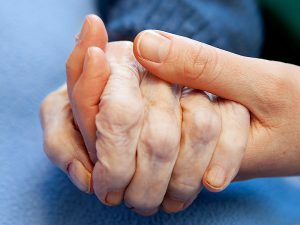 California recently became the 5th state to enact an aid-in-dying law. The End of Life Option Act was signed into law by Governor Brown in October of 2015, and was to officially go into effect on June 9, 2016. However, a group of physicians, the American Academy of Medical Ethics, and the Life Legal Defense Foundation filed suit requesting the law be immediately suspended. A California Court rejected the temporary restraining order that was filed, but will allow the plaintiffs to proceed with their lawsuit regarding the concerns of the lack of safeguards against abuse of the law, so this won’t be the last time we’re hearing about this issue. The Act permits terminally ill adult patients with the mental capacity to make medical decisions to be prescribed an aid-in-dying medication. Certain conditions, however, must be met before the drug will be prescribed. Be able to self-administer the aid-in-dying drug (must be eaten, drank, or swallowed and cannot be administered via IV from a physician). The law states the request must be made by the patient and the patient alone. A power of attorney, advance health care directive, conservator, health care agent, surrogate, or any other legally recognized health care provider will not suffice. A request must be solely and directly made by the patient to his/her attending physician. This should provide some sort of solace to those against these types of aid-in-dying laws, as this provision only helps ensure the decision is actually coming from a patient. Even so, this isn’t enough for some. The group that brought the restraining order to suspend the law argued the definition of “terminally ill” within the Act was too vague and risks abuse of the law. Their primary argument rests on concern that the law allows coercion of terminally ill patients, but their suit alleges a whole slew of other ethical and procedural issues. Patients that are given a 6-month prognosis sometimes make it way beyond that time frame and plaintiffs argue prognosticating a patient’s future is flawed, which suggests they believe this is a standard that shouldn’t be used when prescribing an aid-in-dying drug. Further, the plaintiffs argue, the drugs are unreliable and often can cause inhumane complications that can sometimes force physicians to administer a lethal injection and become a case of euthanasia. On top of those arguments, the Act doesn’t require patients to administer the drug in the presence of a physician and it provides both civil and criminal immunity without requiring so little as a good faith standard that must be upheld on behalf of physicians. Nor does the Act require seeking consultation with a mental-health specialist unless the physician believes there’s a pre-existing mental disorder, all of which seem to be troublesome concerns. While it’s certainly an extremely personal decision, the plaintiffs do have some good arguments. Protective measures, like requiring a consultation with a mental health professional, would only further ensure the law isn’t being abused. How Do We Balance the Two Needs? In recent years, the issue of death with dignity laws broke headline after headline when a young 29-year-old woman, Brittany Maynard, was diagnosed with a brain tumor. Maynard was a California resident where, at the time, any type of death with dignity was not an option. Her family made the decision to uproot their life to Oregon, where death with dignity is authorized. Despite her illness, Maynard became the face of advocacy pushing for legislative change. Maynard has since passed away, but her message remains. Oregon, Vermont, Washington and Montana are among the 5 states that allow physician-assisted suicide, while at least 20 other states are considering some form of death with dignity legislative change. It’s a touchy subject and probably one both sides will never see eye-to-eye on.